An accomplished photojournalist in his own right, Chuck Scott may be even more widely known for his ability to inspire others. Scott co-founded the School of Visual Communication at Ohio University and was its director for 19 years before retiring in 1995 and has been a life-long crusader for more effective use of pictures in newspapers. “They (Ohio University deans) allowed me to teach the importance of photos to word people,” Scott said when he won the Ohio University College of Communications L.J. Hortin Faculty Mentor Award. He was honored for being an exemplary mentor to students during and after their college years. Scott’s career began in high school in 1940 when he worked as a stringer for the Decatur Herald-Review in Lincoln. He was a U.S. Navy combat photographer in the Pacific during World War II and returned to the University of Illinois in 1946. Scott worked as a staff photographer for the Binghamton Press in New York and as chief photographer of the Champaign-Urbana Courier before becoming picture editor of the Milwaukee Journal and graphics director of the Chicago Daily News. He taught journalism at Ohio University for five years, became picture editor of the Chicago Tribune in 1974, and returned to Ohio University in 1976. 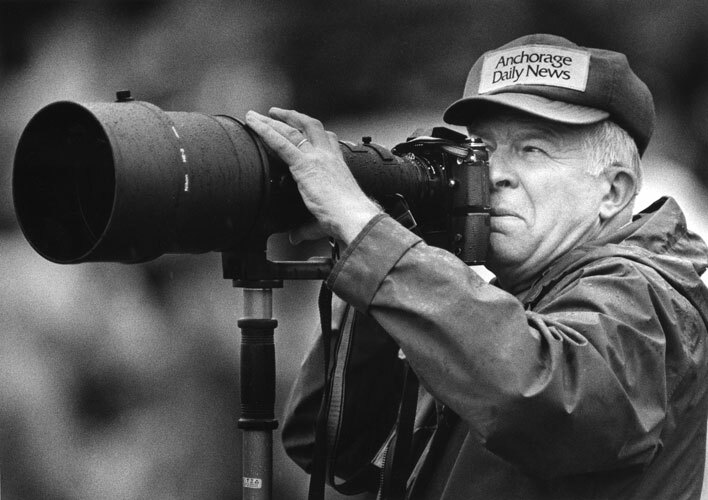 His work won more than 100 awards in news photo competitions, including the grand prize in the 1952 National Press Photographers contest. He was the first Illinois News Photographer of the Year in 1956. Scott has been a speaker at more than 200 news photo shortcourses and conferences and a consultant for dozens of newspapers across the country. This bio was written at the time of Chuck Scott’s inauguration into the 2006 Illini Media Hall of Fame.